Thanks a lot Navin for your support. Could you please advise wahts the best to use ROM 3.16 or 3.53. which one is more stable? Is there any rom supports for arabic ui? 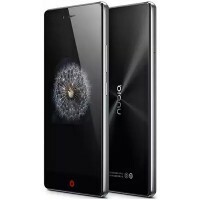 Hi Navin, i installed V3.16 on zte nubia z9 mini successfully. but after checking in about phone i found (Nubia UIV3.0.8). Yes that's true…V3.16 uses Nubia UI 3.0.8 … only in the Public Beta versions(Android 5.1) UI3.5 is used but the public beta ROMs are not stable compared to stable versions (Android 5.0) ..
Works fine for me, only the Bluetooth won't connect. Hi Stephan, is Bluetooth works fine too ? Scottfx2, works without any issue. To all, I am now using the rom for 5 days without any major problems. In the couple of days my phone has hang 4 times, just press the power button and push it back again. That's all! Really really great rom!!! !